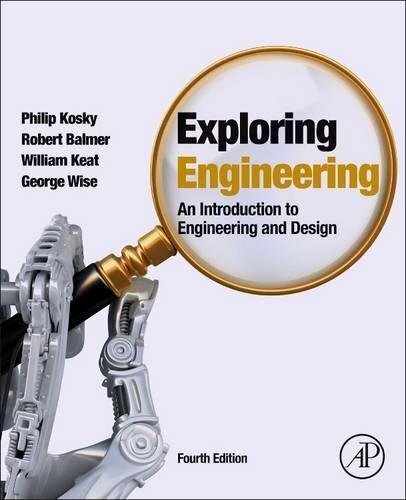 Exploring Engineering, Fourth Edition: An Introduction to Engineering and Design, winner of a 2017 Textbook Excellence Award (Texty), presents the emerging challenges engineers face in a wide range of areas as they work to help improve our quality of life. In this classic textbook, the authorsexplain what engineers actually do, from the fundamental principles that form the basis of their work to the application ofthat knowledge within a structured design process. The text itself is organized into three parts: Lead-On, Minds-On, Hands-On. This organization allows the authors to give a basic introduction to engineering methods, then show the application of these principles and methods, and finally present a design challenge. This book is an ideal introduction for anyone interested in exploring the various fields of engineering and learning how engineers work to solve problems. Companion Web site includes links to several new drawing supplements, including “Free-hand Engineering Sketching,” (detailed instructions on free-hand engineering sketching); “AutoCAD Introduction,” (an introduction to the free AutoCAD drawing software); and “Design Projects,”(new freshman-level design projects that complement the “Hands-On” part of the textbook).